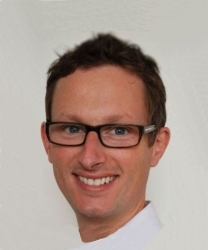 Ben has been placing and restoring dental implants since 2004 and has a wealth of experience in all aspects of dental implantology including bone grafting and sinus augmentation. He is passionate about the aesthetics of the restored dentition and believes in providing the highest quality in implant replacement teeth. Patients just beginning to think about dental implant treatment may find it helpful to attend a complimentary preliminary consultation with Ben Goode the implant dentist. This appointment does not include a clinical examination and it only takes 15 minutes. The discussion will help you consider the options for treating your dental problems and decide whether to proceed to a clinical consultation for implants. The preliminary consultation is free of charge for visitors enquiring through this website. Please use the button in the right hand column to request an appointment. Once you have decided in principle that you want implant treatment, the next step is a clinical consultation. This includes a comprehensive oral examination, and results in production of a fully-costed individual plan for your treatment. The fee for the clinical assessment appointment and provision of your personal treatment plan is £70. The cost of the treatment planning consultation is refunded when you proceed with the treatment. Dr Goode runs an anxiety management clinic which provides dentally phobic patients with the ideal solution for missing teeth. The practice accepts referrals for all types of cases related to implants and can offer IV sedation to help alleviate any anxiety a patient may have. Support is also offered to practitioners wishing to restore dental implants for their own patients. 18 Dental is a multi-award nominated sedation and implant clinic that receives referrals for anxiety management and all aspects of implant treatment. The interior-designed practice provides contemporary implantology in relaxing surroundings.